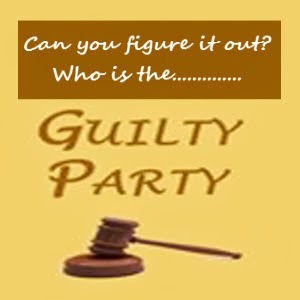 "Guilty Party" is a problem in Crime detection in which you are invited to match your wits with a panel of experts - John Arlott, F.R. Buckley and Robert Fabian. So began a typical episode of the long running panel show. It was written by Edward J. Mason and produced by Tony Shryane. The shows started with a dramatised crime play, the panel then decided on a line of investigation and cross examined the suspects, who gave unscripted answers to their questions. This cross examination should then lead the panel to the Guilty Party! Thanks Robert. I found one that I didn't have. I love these British mysteries.